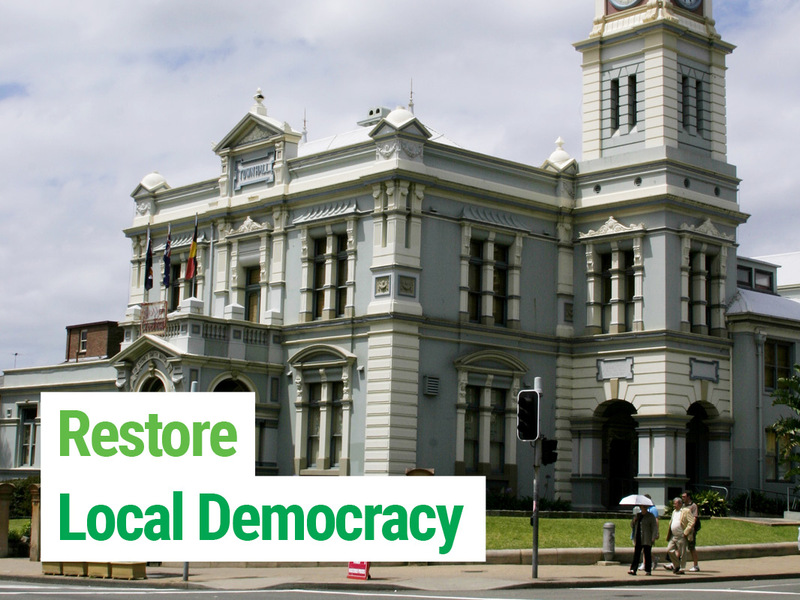 The Greens are committed to restoring local democracy and have led the campaign against forced council amalgamations from day one. Forced amalgamations are deeply undemocratic and have left the Inner West council under the control of unelected, unaccountable administrator appointed by the state government for 16 months. Forced amalgamations aren’t about saving money, they are about destroying local connections, removing local planning powers and delivering for developers. The amalgamations mess in the Inner West hasn’t saved money, it has seen local councillors sacked, millions wasted on re- branding and expensive IT contracts and the loss of local services and jobs. Grassroots democracy means empowering residents, engaging in genuine and meaningful community consultation and ensuring that decisions are being made at the most local level possible. Give the community the vote that has been denied to them with a binding plebiscite for the 3 council areas. Instigate a new public inquiry into a de-amalgamation of the 3 councils. Review every decision made by the unelected administrator and ensure that all information on the amalgamation is made public. Re-establish the Resident Precinct Committees and the local advisory Committees. We will ensure the Precinct Committees are run with the assistance of council resources but retain their independence of council. Ensure the Open Council Code of Meeting Practice which allows all residents to attend and speak at council meetings without pre-registering is retained. Ensure excellent and meaningful consultation with the community.